You can’t edit your web page on bridge theme or any other theme. When you are going to edit the wordpress page then it’s showing page isn’t working, “ERR_EMPTY_RESPONSE”. If yes, you are in the right place here. Don’t worry about that. It’s a common error for wordpress website. 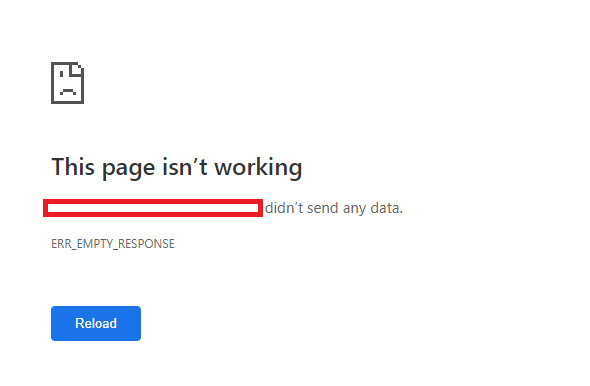 In this article, we are going to show you step by step, How to fix the page isn’t working issue permanently form your worpress website. If you need to know more information about that then you can continue reading the posts. Hope it would be very helpful for you. how to fix the Page isn’t working – Err_Empty_Response ? Login your Cpanel or FTP account. Go to File manager or Root directory. Then save the .htaccess file and upload it on the directory. Search “Wp File Manager”, then install & activate it on your website. Now .htaccess dialogue box will open look like the attached pic. It’s the deafult .htaccess file. Now save the .htaccess file and go to edit the page.